Pastel acrylic hues are the color palette for these nativity scene figures painted on smooth, decorative stones. 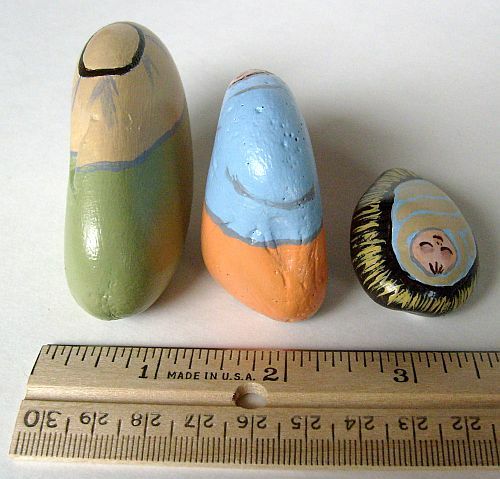 The rocks measure from 1/2" up to 2-3/4"
Weight of the 7-Piece Set: 16 oz. Mary's robe is painted with "Summer Peach" acrylic paint. Her headscarf is "Sky Blue" acrylic. 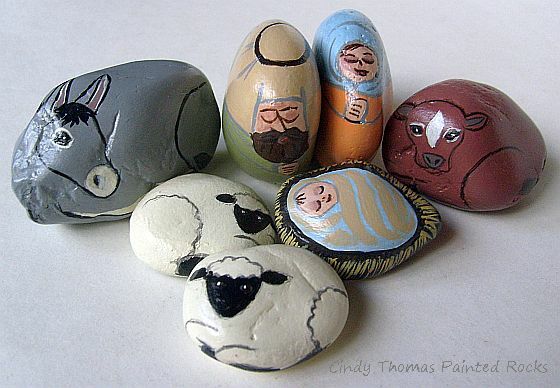 The rock shape of Mary gives her an "expectant" appearance which works nicely if you like to display the Mary and Joseph nativity scene figures during Advent and add Baby Jesus on Christmas Eve/Day. Joseph's robe is painted with "Basil Green" acrylic paint. His headscarf is "Latte" acrylic with an "Espresso" headband. Baby Jesus swaddling clothes are painted using "Sky Blue" and "Latte" acrylic paint. 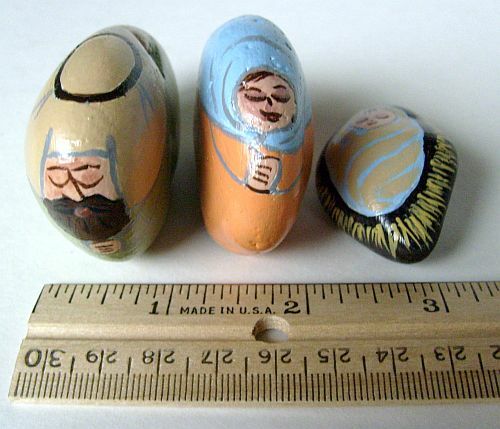 The manger is painted "Espresso" with "Yellow Ochre" straw.